You have seen it here first, folks! The group’s new logo! 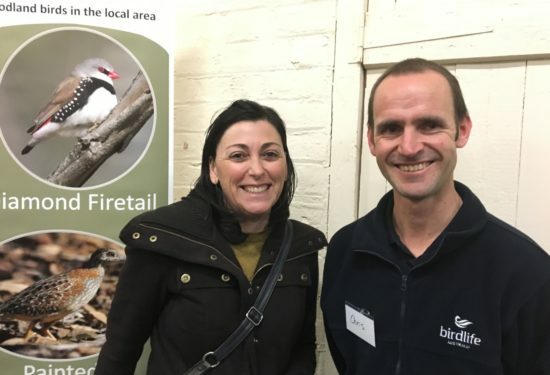 Many excited faces gathered at the Castlemaine Botanic Gardens Tearooms on Saturday 7 July 2018, as we celebrated the launch of BirdLife Australia’s newest branch – BirdLife Castlemaine and District. 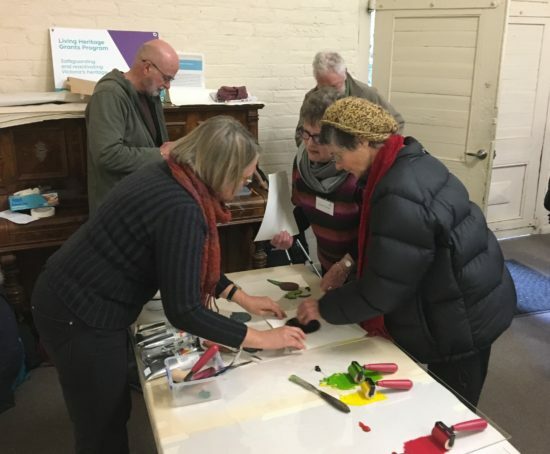 The launch also incorporated an ‘Act for Birds’ Roadshow – a community forum on how we can encourage stronger environmental laws to help safeguard threatened species such as the Swift Parrot. We began the afternoon with a Welcome to Country from Uncle Rick and Kane, and Uncle Rick talked about the significance of birds to the Dja Dja Wurrung. 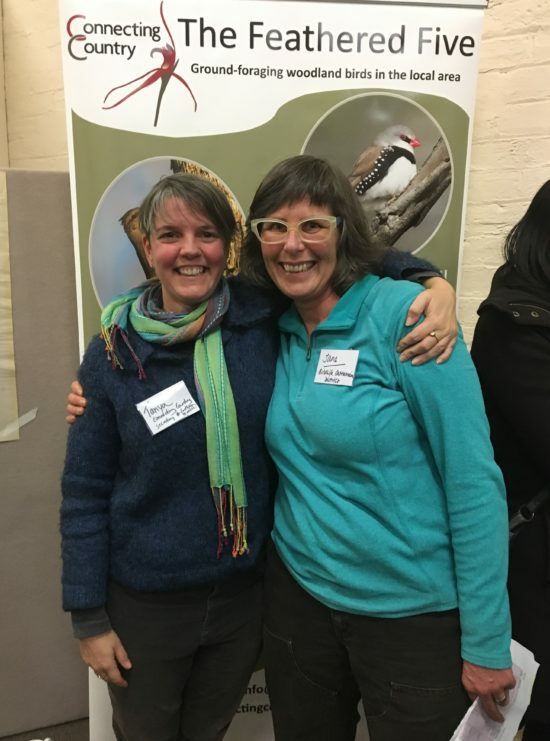 Fiona Blandford (Branch Network manager) and Jane Rusden (BirdLife District Convenor) formally launched the new branch, with a lovely nod to Connecting Country and our work to build community interest in birds on our region. Brendan Sydes (Connecting Country president), in his role as lawyer and CEO of Environmental Justice Australia, gave a rousing introduction to the potential for positive change to environmental laws in this country. Beth Mellick (of Wettenhall Environment Trust) is the regional coordinator for the local Swift Parrot counts done twice a year. Beth gave a wonderful talk on our local swifties and the power of citizen scientists, including showing an excerpt from Debbie Worland’s DVD, the Swift Parrots of Muckleford in Central Victoria. The DVD shows never-seen footage of Swift Parrots filmed entirely in Muckleford over a five-year period by Debbie Worland, a member of the Castlemaine Field Naturalists Club. For infomation about the DVD, email swiftparrotsofmuckleford@hotmail.com. If you would like to be involved in the Swift Parrot count later this year, email Beth at beth@wettenhall.org.au. We then heard from our main speaker – Kim Garrett (Conservation Community Organiser for BirdLife Australia). 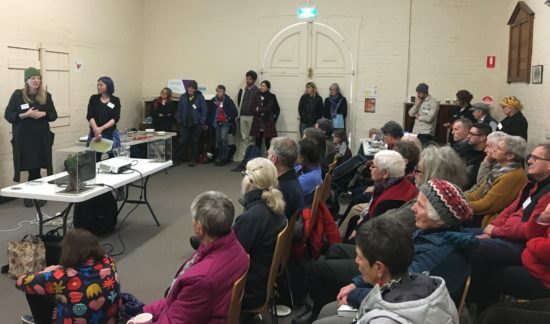 Kim spoke passionately and eloquently on how our current laws are failing threatened species in Australia, and what we as community members can do about it. Many policy and environmental law experts have prepared a detailed case for how environmental laws could be strengthened in our country, and the Act for Birds campaign summarises the case succinctly. Create national environment laws that genuinely protect our unique birdlife. Establish independent institutions that set national environmental standards, and operate transparently and independently of government. Guarantee community rights and participation in environmental decision-making. To get involved, head on over to www.actforbirds.org to sign the petition and get some tips on engaging with your local member. The Swift Parrot is Critically Endangered and numbers are still declining due to serious loopholes in current environmental laws. The current laws are up for a twenty year review, so now is an ideal time to act. Please enjoy this gallery of photos of some of the attendees. 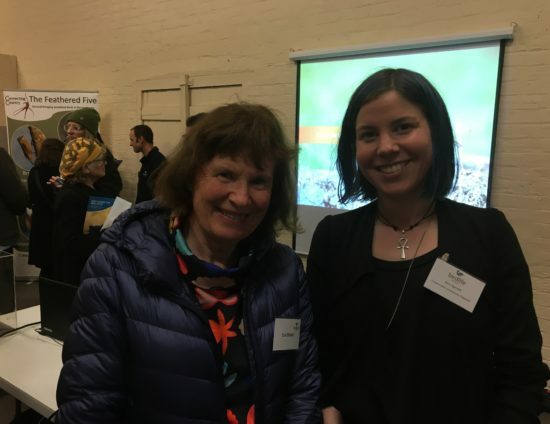 Many thanks to the staff from BirdLife for travelling to Castlemaine to share in the excitement, to the committee and volunteers of BirdLife District Castlemaine for planning and logistics, Uncle Rick and Kane, the presenters, and to Jane Rusden for pulling the whole event together! Fiona Blandford launches the new branch to a full house! BirdLife Castlemaine District secretary and convenor! The press shot – by Albert Wright.